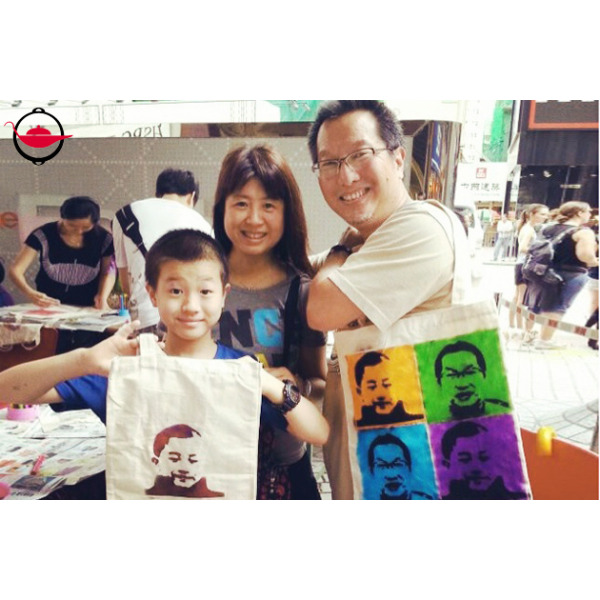 Become an street artist for a day and experience the most exciting, vibrant and hip art form in Hong Kong! 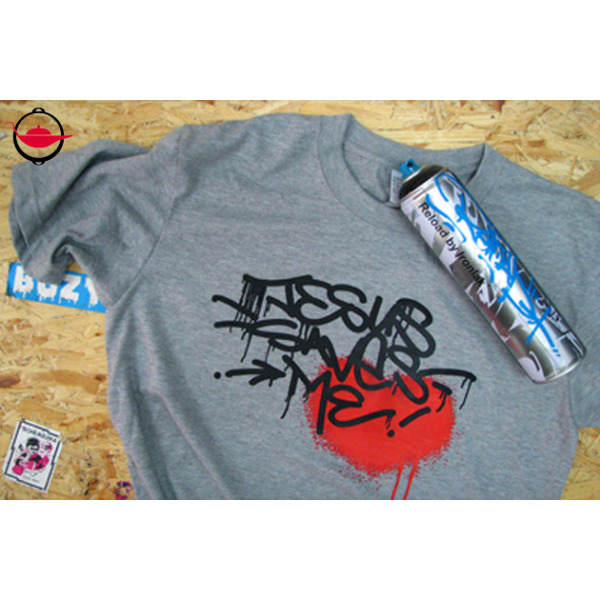 During this Street Artist Experience, learn the art of spray painting and bring your own art piece home. So you think you can be the next Banksy? Become a street artist for a day and experience the most exciting, vibrant and hip art form in Hong Kong. In this 2 hour Street Artist Experience, you will learn the art of spray painting and create your own street art on hats, bags, T-shirts, canvas, wooden boards or even on our wall! Be chic and get your own stencil art on any two items out of hats, bags or T-shirts! Send us two simple images that you want to spray paint 7 days in advance to the experience day and we will create your stencils for you. 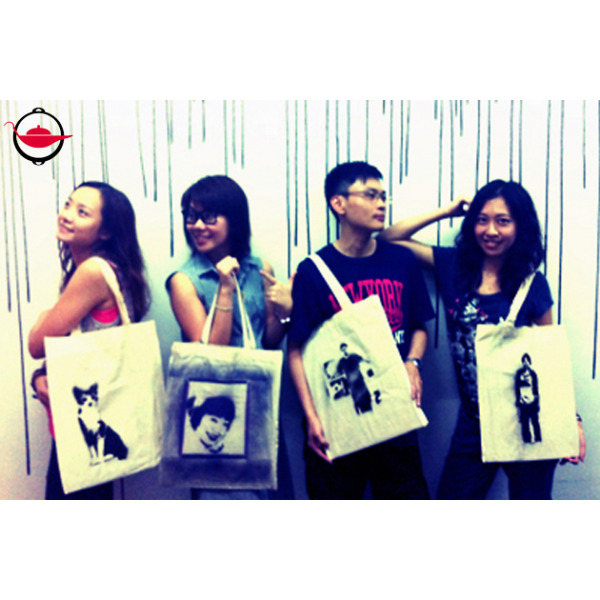 Emulate Andy Warhol's iconic pop art pieces with bright and flashy stencil art on a bag or t-shirt. Send a maximum of four images that you want to spray paint 7 days in advance, and we will create your stencils for you. On the experience day, you will learn to cut the shapes from your stencil and spray paint your own designs on the chosen materials. If you are a fan of the hip hop culture, try your hand at street art on a large standing wooden board! Participants will first learn how to spray paint on a piece of paper, our instructor will teach you the basics in lettering. Then you and your friends will start outlining your artwork on a 8ft x 4ft wooden board at the end of the experience. Think spray painting on walls is cool? Now, you can try your hand at wall street art legally! You and your friends will first learn how to sketch different letters on a piece of paper, then choose a nice wall spot on the workshop rooftop and create your own wall art! This experience voucher is valid for a private group of up to 4 people. Participants must be 10 years old or above. This experience includes all materials, spray paints and protective gear. For those who choose the Stencil Street Art option, please send us your 2 images 7 days in advance of your Experience Date. For those who choose the "Andy Warhol"-style Stencil Art options, please send us your 4 images 7 days in advance of your Experience Date. We were not sure what to expect when we booked the experience, especially when we arrived at the venue in a very industrial building. We had difficulty in finding the lift and the location of the studio on the 11th floor as it was not signposted at all. However when we did and we were taken inside we were very pleasantly surprised to find a really atmospheric and well-equipped studio. Our group of three were the only ones attending the session so it was very comfortable and personal. Our instructor was a young artist who made us feel very welcome and gave excellent instruction on what would happen and how we should approach our design and supported us throughout. After we had completed our design on paper we were taken outside to our very own wall to complete the spraying of our designs. The end result was terrific. The four of us all really enjoyed this experience! A wedding gift, my wife and I brought along two friends to share the experience. We came away with great memories, photos, and our paper drafts of our street art. We learned basic outlining and filling, and 3D techniques, and the instructor helped us enough to make our art look great, whilst letting us do the bulk of the work so that it still felt like it was our work. 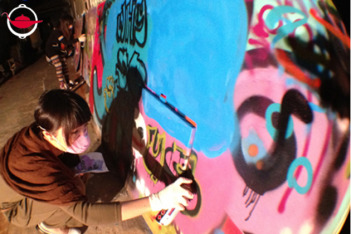 Spraying the wall on the rooftop was a lot of fun - we'd definitely recommend this as something different to do in HK! We received this Experience as a prize and it was excellent! Super fun and a great team bonding exercise. Would definitely recommend to anyone wanting to try something different. Great fun - we were given this experience as a wedding gift and we never thought that either of us were any good at Graffiti work - but supposedly we are! The location was very difficult to find - more directions and signage required. But once we were there, the kids had a great time. They enjoyed painting on the wall the best! It is a unique Hong Kong venue. I chose this experience for my 12 year old daughter and 3 friends to celebrate her birthday. They all really enjoyed it! I had concerns that it would be hard to fill the time but if anything they wanted more time to photograph themselves with their art work! Teacher was kind and helpful, overall a very good experience. It was my girls' experience . They really enjoyed it !! Very unique experience. Had great FUN! Course fee for a max. of 4 person included...definitely a bargain! We did this as a friend gathering. None of us had done graffiti before but we were all very satisfied with our first painting! We chose the wall spraying option and it turned out to be a super cool experience! The instructor was very professional and helpful. As time was running out, he helped each of us to finish our draft so everyone can proudly take their drawings home. Would definitely recommend this experience to friends! It was fun to able to experience graffiti making in Hong Kong, and to have the selection to make graffiti on items you could keep/take away like bags and T-shirts. We booked this Experience for my daughter's 11 birthday party and the girls had a fantastic time. Finding the very well-hidden studio was a lot of fun and the venue was so different and interesting for them. They were very excited about being allowed to white-wash a wall and use spray paint. The results were amazing. For my 24th Birthday, I went for this experience with 11 of my friends. None of us had done street art before, and a majority of us had never done ANY art before. But we all thoroughly enjoyed this experience. The sense of freedom we got by holding the spray paint cans and covering the walls with our ideas unleashed our creativity and I'm proud to say we created some beautiful art. Great experience spray painting for the first time! It was pure fun, experience what it takes to be a Graffiti's artist. The environment within the studio is pretty cool.